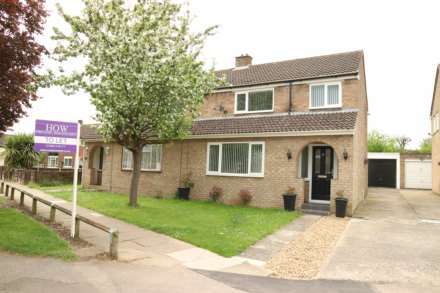 Homes on Web are delighted to announce to the market this four bedroom detached property situated in the sought after area of Monkston, Milton Keynes. With its close proximity to local shops and amenities including the Oakgrove School catchment and close to Kingston District Centre which is home to a variety of popular shops and restaurants, this property really does tick all of the boxes you would want for a family home. In brief this property comprises; Entrance hall, living room, separate dining room, kitchen, utility room and cloakroom. On the first floor you will find the master bedroom with en suite, a further 3 bedrooms and family bathroom. Outside there is a good sized rear garden perfect for entertaining and driveway providing off road parking leading to a single integrated garage. Internal viewing is highly recommended to fully appreciate the accommodation on offer. Double glazed front door. Wooden flooring. Radiator. Stairs rising to first floor accommodation. Door leading to living room. Alarm System. Double glazed bay window to front. Feature gas fire with wooden surround. Twin double glazed windows to side. Solid wood flooring. Double doors leading to dining room. Semi open plan to kitchen. Double glazed patio door leading to rear garden. Wooden flooring. Radiator. Fitted with a comprehensive range of wall, base and drawer units with complementary work surfaces. Tiled to splashback areas. Single bowl stainless steel sink unit with mixer taps. Integral dishwasher and integral freezer to remain. Range cooker with cooker hood over. Built in wine rack. Twin skylight window to rear. Door leading to utility room. Double glazed window to rear. Tiled flooring. Plumbing for washing machine. Space for dryer. Radiator. Doors leading to garage, cloakroom and rear garden. Fitted with a two piece suite comprising of; Low level WC and wash hand basin. Tiled to splashback areas. Double glazed frosted window to side. Tiled flooring. Airing cupboard housing new combi boiler. Loft access. Double glazed window to front. Built in wardrobes. Radiator. Door leading to en-suite. Solid wood flooring. Re-fitted with a three piece suite comprising; Low level WC, wash hand basin and double shower cubicle. Tiled to splashback areas. Double glazed frosted window to front. Double glazed window to rear. Wooden flooring. Radiator. Fitted with a three piece suite comprising of; Low level WC, wash hand basin and panelled bath with hand shower mixer, Tiled To splashback Areas. Vinyl flooring. Double glazed frosted window to rear. Spot lights. Mainly shrubs. Pathway leading to front door. Driveway providing off road parking for 2 cars. Security camera. Mainly laid to lawn. Landscaped. Two patio areas. Shed. Gated front access. Enclosed by wooden fencing. Up and over motorised garage door with remote control. Power and light, Door leading to utility room.